Amazon is a Seattle-based online retail giant that is best known across the world as the "everything store" where you can buy practically anything you want and have it shipped to you in short order. Aside from its retail business, Amazon is well-known for its digital goods marketplace, where it started by selling books, followed by music, movies, TV shows and eventually Android apps through the Amazon Appstore. Amazon offers a lot of this content for free or reduced prices via its Amazon Prime service, which costs $99 per year but has several benefits including free media and free two-day shipping on most items it sells. In order to support its digital content business, Amazon has used a dual-prong strategy of launching apps for various platforms that can work with its content library, and selling its own first-party hardware that only offers content from its stores. The first hardware effort is the now-famous Kindle line to read books on, followed by the like-named Kindle Fire lineup that replicated a full-powered tablet experience that many had become familiar with via the iPad and other Android tablets. The Kindle Fires run a modified version of Android called Fire OS, have access to the Amazon Appstore rather than Google Play and are generally considered to be popular choices for specific kinds of users. 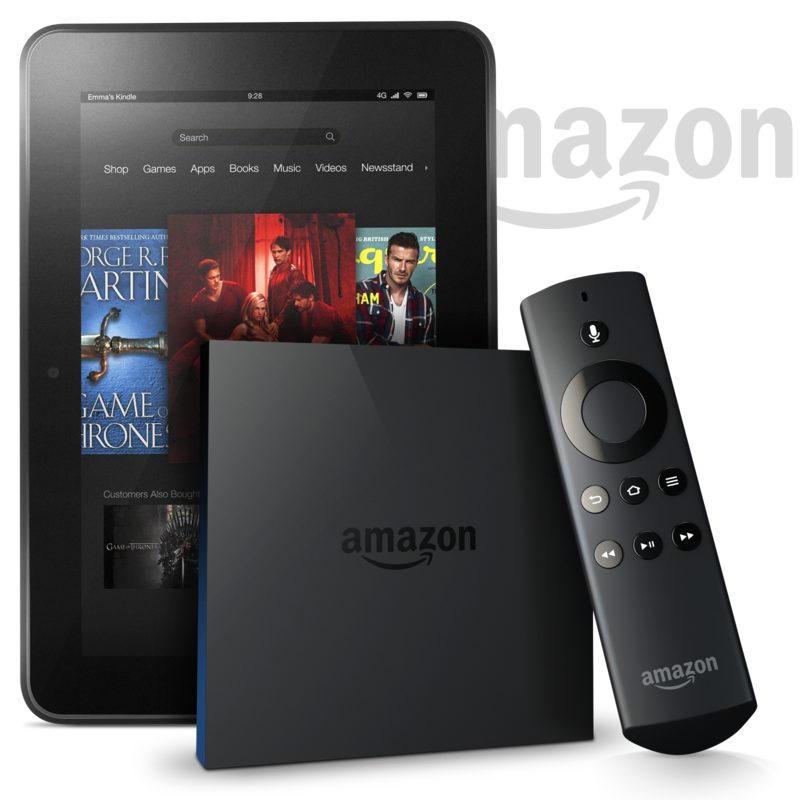 Branching out further, Amazon launched the Fire TV, which is a media-focused set top box that's essentially a Kindle Fire without a screen. It is a small, yet powerful, box that streams content from Amazon, Netflix, Hulu and dozens of other providers, while also offering access to Android game titles with an optional Bluetooth controller. In the summer of 2014, Amazon also announced the Fire Phone, which completes its Fire OS expansion to all modern platforms — set top boxes, tablets and phones. Integrates with your smart home, HDTV antennas, and more. The dynamic duo hits another home run, and customers everywhere win. Amazon's Key for Garage launches today, making it even easier for millions of Prime customers to receive their packages while they are away from home. With access to all the streaming services you know and love. A long-running standoff between Amazon and Google has come to an end, with both companies announcing this morning that YouTube is coming back to Fire TV and Amazon's Prime Video app will be updated with Chromecast support by the end of the year. The Fire HD 10 tablet is back down to its best ever price. Today's deal at Amazon is even more affordable than the price of these speakers during Black Friday! Access all the streaming services you know and love. You'll also get a $0.99 gift card to put toward some new content. According to a new report, Amazon’s developing a pair of wireless earbuds similar to Apple’s AirPods that’ll feature integration with Alexa. Amazon makes an Echo-connected microwave, but should you buy it? Amazon truly does make everything these days, and that includes a microwave you can control with an Amazon Echo, even re-ordering items while it microwaves that last bag of popcorn. But do you really want Alexa talking to your microwave? Catch up on your favorite shows in UHD. Access all your favorite content easily. After launching in the U.S. this past December, the Amazon Echo Input is now available for purchase in Canada.